I’ve had a lot of coaching clients recently challenged and humbled by new spring footwear. When we switch running shoes quickly, we often get hurt. No matter the type of runner whether minimalist, maximalist, or anywhere in-between, sooner or later we all need to change footwear, particularly when the seasons change. Though we’ve often heard we need to “break in” our shoes, it’s really quite the opposite. The shoes break us in. That’s why at Mindful Running, we’re typically in favorite of natural fitting shoes with wide boxes and low heels. The foot is a very complex system of bones, muscles, ligaments and tendons, each moving in unison with the next. Affect even one joint, and you affect them all. But what it means for switching shoes is there’s often a huge transition period where our muscles, tendons, and ligaments–and unfortunately sometimes even bones, need to do their best and try and adapt to each new shoe, with a different way of landing, of balancing ourselves, and even moving and absorbing shock within the shoe. 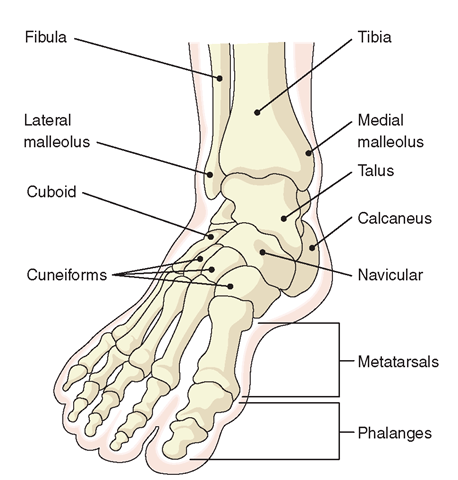 The foot has 28 bones, 33 joints, and over 100 muscles, ligaments and tendons. Affect even one joint, and like pulling a link in a in a chain, you affect every other joint in the foot. So even subtle changes are intensely magnified when switching footwear. Change too quickly, and you’re in for a world of hurt. It’s extremely common to get mysterious aches and pains, deep muscle cramps and soreness, or worse still, ticked off calves, achilles, and even IT bands. Heck, I’ve seen many a runner who’s gotten sore knees and a sore back from changing shoes. For the shoe affects everything. That’s a reason old-dog runners like myself in the past, would apparently insanely buy 10 pairs of our favorite shoes (hopefully on closeout) before they went out of stock. It turns out we weren’t insane.We just didn’t want the pain of switching footwear and having to slow down and adapt when the shoe manufacturer would inevitably change or “upgrade” their model for the new year. Even for minimalist footwear model changes, sometimes hidden and sometimes with a huge marketing shebang, would require a BIG transition or trick us into injury. 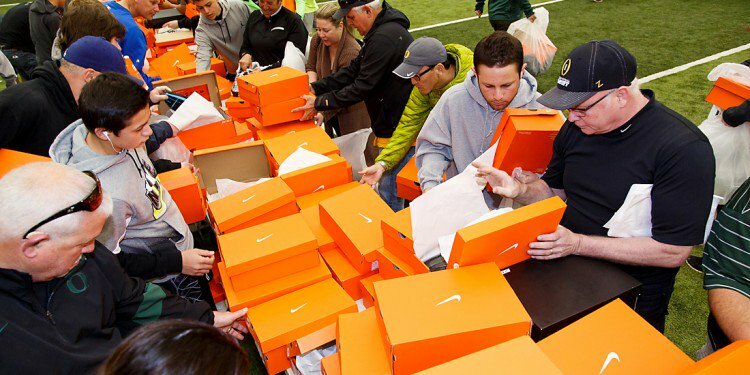 If we didn’t buy ten pairs, we were stuck suffering the consequences, or forced to slow down. So how slow do you transition? Try 10% max with your new shoes on the first day, then none the second. Then 20% max two days later, subsequently adding 10% every-other day over a period of a few weeks till you’re fully adapted at 100%. Is this ridiculously slow? Yes. Is it absolutely necessary? I’d say, YES. For it’ll save you significant grief in the long run. Can you do it even slower? Ab-so-lutely! A key point from Coach Jessica: If you start to get blisters, or experience real pain while switching shoes, throw out the 10% rule. Now you need to ask, is this really the shoe I’m supposed to be in, or is it simply wrong for my feet? There’s no shame in “giving up” when switching footwear, after-all a lot more than fancy new tread is at stake. So if it starts to hurt, be mindful, and ask the big WHY. If it’s just a blister, maybe you want to wait it out and continue, but should your shoe be rubbing there in the foot place? Make that, first place? No, probably not. Don’t let this be you. Changing footwear quickly is like ripping the foundation out from beneath your house. Even if you currently have nagging foot pain CAUSED by shoes that are foot coffins at best (as Barefoot Ken Bob Saxton likes to say), you don’t want to switch too quickly. That’d be like ripping the foundation out from underneath your house because it’s got a few cracks, even major ones. 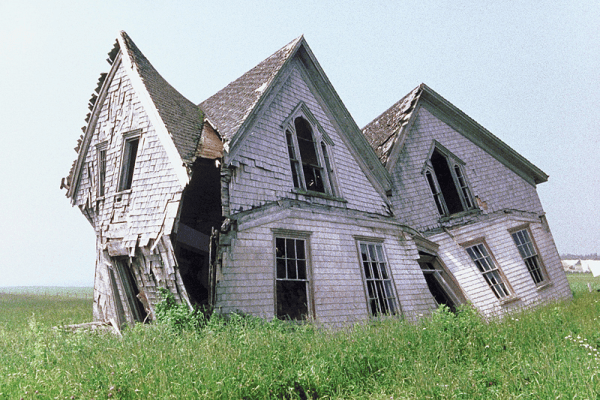 While you need a new foundation, you won’t be too happy when the house comes collapsing down. Instead you need a plan to keep the house upright. Change slowly, or you’ll set yourself up for more challenges and pain than you’re wanting to fix. Note: If you’re wanting to try barefoot running the above-advice goes doubly-so. Often people get over-exuberant after reading Born to Run or our book Barefoot Running, and want to just strip off their shoes and just go. That’s even worse than transitioning between different running shoes, and it’ll bite you bad, particularly on your calves and achilles. And if you switch to Five-Fingers, you’re often in for stress-fractures soon down the road. For barefoot running or funny-toed shoes, you NEED to start fully barefoot first, with only 100 to 200 yards to begin, then add at most 100% yards every-other-day. The body is an incredible compensatory machine. It’ll adapt to almost anything, given enough time. But if we don’t give it that time, then watch out! So switch into those new shoes, huaraches, or moccasins slowly this spring. Or go for it barefoot, just take your time. Transition slowly, and your body, feet, and especially your calves and Achilles, will greatly thank you for it! Have Fun! Switch Slowly! Be Mindful and Run Free! Great tips. This is an often overlooked issue in changing shoes. Most time, runners just put the new shoes on and take off. Then is a problem pops up, they wonder why. How Do I Stay Barefoot Or Keep My Strong Feet Through the Winter?